Something is calling to this kid. 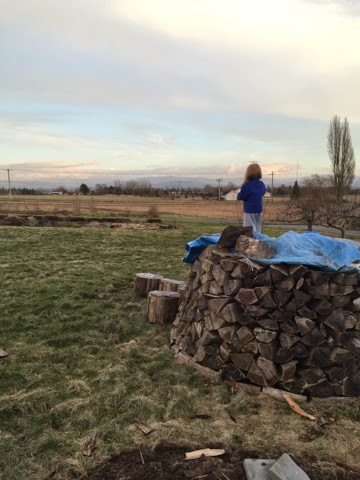 Today she decided to teach herself to climb the woodpile, and the apple trees. I'd be surprised, but she's been telling us she wants to climb "Baker Man" someday. And see that itty bitty peak far off in the distance? It's the "Baker Man" she's staring at.